August 2017: Paul Giudice from CoMetrics, (a presenter at the 2017 ISA Annual Meeting) shared an excellent article by McKinsey & Company about the value of competitive benchmarking for the steel industry. Today, the Trump Administration announced sweeping 25% tariffs on steel products (10% on aluminum). The trade remedies are intended to combat what U.S. steel producers contend are unfair and persistent imports of steel and aluminum products from a variety of countries. Said imports, according to various industry officials, undermine the U.S. steel industry and, are therefore damaging to national security. 11:00 AM EST: CNBC reported Thursday that a “listening meeting” scheduled for “11-ish today” would not include a formal announcement of the Administration’s decision on steel tariffs. 11:30 AM EST: Steel stocks initially surged in early trading Thursday, according to CNBC. However, the sector pared back its earlier gains when the Administration announced that no decision on Section 232 tariffs would be released today. 1:00 PM EST: CNBC reports the announcement of 25% tariffs. Other sources come online with further reporting, including CBS, New York Times, Bloomberg News, and others. “Super silk.” “Bionic webbing”… “capable of holding a human.” Pretty scary stuff, right? 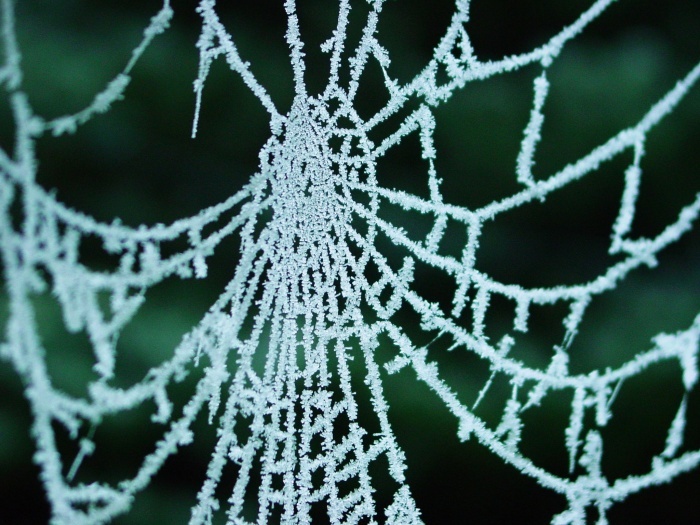 Scientists in Italy and the UK have been feeding spiders a solution of graphene carbon-nanotubes, and the spiders are spinning Kevlar-class spider webs. Aside from the sheer creepiness of this story, it’s a fascinating look at the imagination of scientific researchers around the globe. Fueled by low interest rates and a strong jobs market, housing starts rose by 13.7% in October. The biggest gains were in the South and Midwest. By type, multi-family housing starts rose the most, jumping 37.4%, while single family starts rose a modest 5.3%. Full Article from MarketWatch.com is here. ISA pairs independent rebar fabricators with selected suppliers in a purchasing cooperative (“co-op”) environment. ISA member fabricators can earn rebates when they support our co-op suppliers. Click to read more! ModernMetals.com reported today that the AIA Consensus Construction Forecast “expects the industry to experience slower growth, at a rate ranging from 3.5 percent to 4 percent, for the remainder of 2017 and through 2018.” Following two years of solid growth, 2017 has not displayed the same promising growth as previously hoped. Economists cite as possible reasons for the slowdown as sluggish U.S. economic growth, general uncertainty and concerns among construction industry professionals, and certain vulnerable construction sectors (e.g. retail, industrial, healthcare and education). However, it should be noted that while the rate of growth has pulled back somewhat, there is still growth, as evidenced by the continued and “steady pace of construction starts across the country,” according to Attilio Rivetti, Preconstruction and Procurement for Turner Construction Co, and author of the Turner Building Cost Index. The Portland Cement Association (PCA) has updated its annual forecast of cement consumption to show 2.8 percent growth in 2018. This number is down from the projections released earlier in the year, and are based on poor weather and lower anticipated public sector budgets. However, PCA notes that a strong federal infrastructure bill could have a positive impact on cement consumption. Historically, rebar consumption has followed cement consumption with nearly perfect correlation.